There was a trailer and a commercial motorcycle also known as okada collision on Kara Bridge this morning. It was reported that the collision left at least one person dead and several others injured. The trailer is reported to have hit the okada conveying a woman and her baby, killing the baby and injuring the mother in the process. The trailer thereafter plunged into the river with the head hanging on the covets. It was gathered that the accident was caused by loss of control by the driver of the trailer. The driver, his conductor and a passenger is believed to have plunged into the river alongside the head of the trailer. 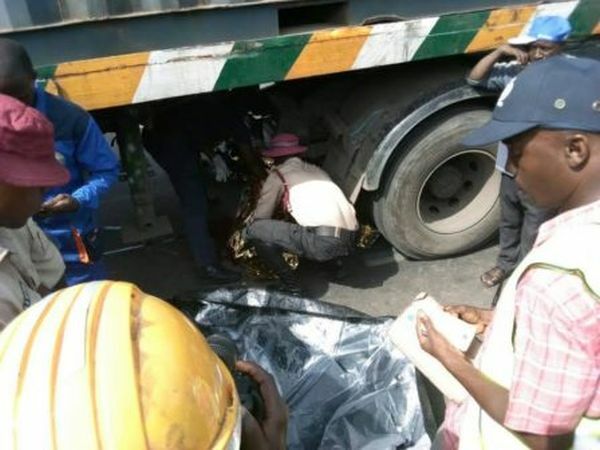 Federal Road Safety Corp (FRSC) official confirmed to Channels Television that the dead and injured have been taken away from the scene of the accident. They are also working to ensure the free flow of traffic in the area of the accident.